People seeking dental bridges in Vancouver turn to Hazel Dell Dental Care. Dr. Kelstrom specializes in dental bridges and other cosmetic and general dentistry to offer you the best in oral care. If you are missing one tooth or several teeth, now is the time to consider dental bridges to restore your smile. People who are missing teeth may find biting and chewing difficult, which cuts down on enjoyment of food. Not only do missing teeth affect your eating habits, but they can also wreak havoc on your appearance. People who are embarrassed by their missing teeth may make it a point to stop talking, laughing or singing in front of others, and may find themselves lacking confidence and self-esteem. If this sounds like you, don’t wait another day to begin the process of getting a dental bridge. 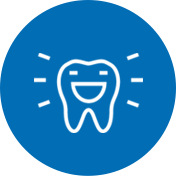 The first step is to find a dentist you can trust to be caring, compassionate and knowledgeable so your dental bridge experience can be pleasant from start to finish. 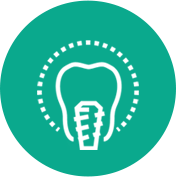 Here are some things to consider when searching for a dentist for dental bridges in Vancouver. Compassion- Having dental work done is never particularly fun, especially when you are receiving a dental bridge. The dentist you choose should understand that you may be sensitive about your missing teeth, and help you by being compassionate and kind about the entire dental bridge process. Look for a dentist who can be patient with you and ease you through the process of receiving a dental bridge by answering all your questions and addressing any concerns you may have throughout the procedure. 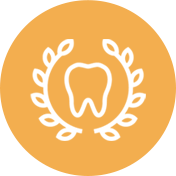 Professionalism– When searching for the right Vancouver dentist to create your dental bridge, make sure to look for a dental office that gives off a highly professional vibe. If anything about the dental practice or the dentist himself or herself gives you an uncomfortable or off-putting feeling, trust your gut and continue your search. After all, these are your teeth we’re talking about- you want to make sure your dental bridge is crafted and placed just right to avoid trouble down the road. When it comes to professional, high-quality dental bridges, Hazel Dell Dental Care has exactly what you’re looking for! Not only is our caring staff up-to-date on all the latest dental bridge techniques, but they genuinely care about each patient who walks in the door. At Hazel Dell Dental Care, we make it our mission to provide Vancouver’s best dental care for each of our patients! Call Hazel Dell Dental Care today at 360-693-2592 to speak with one of our amazing team members about scheduling your dental bridge consultation. A lifetime of confidence, smiles and laughter awaits you!